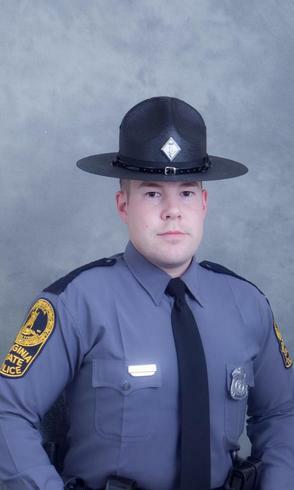 Trooper Andrew Fox was struck and killed by a vehicle at the intersection of Route 30 and Theme Park Way, in Hanover County, at approximately 9:50 pm. He was wearing a reflective vest while directing traffic that was leaving the Virginia State Fair and Kings Dominion theme park when he was struck by an SUV. He was transported to VCU Medical Center in Richmond where he succumbed to his injuries. In February 2013, the woman who struck Trooper Fox pleaded no contest to reckless driving and received a one year suspended sentence. Trooper Fox had served with the Virginia State Police for five years. He is survived by his wife, sister, and parents. On June 3rd, 1967, Trooper Fox's great-uncle, Police Officer Jack Sargent, was fatally stabbed in the line of duty while serving with the Tazewell Police Department.